Did you know today is Global Running Day? Unless you are a runner or someone close to a runner, probably not. And that’s a really important principle to understand when you think about your business. My son and I are runners. Early morning runners actually. 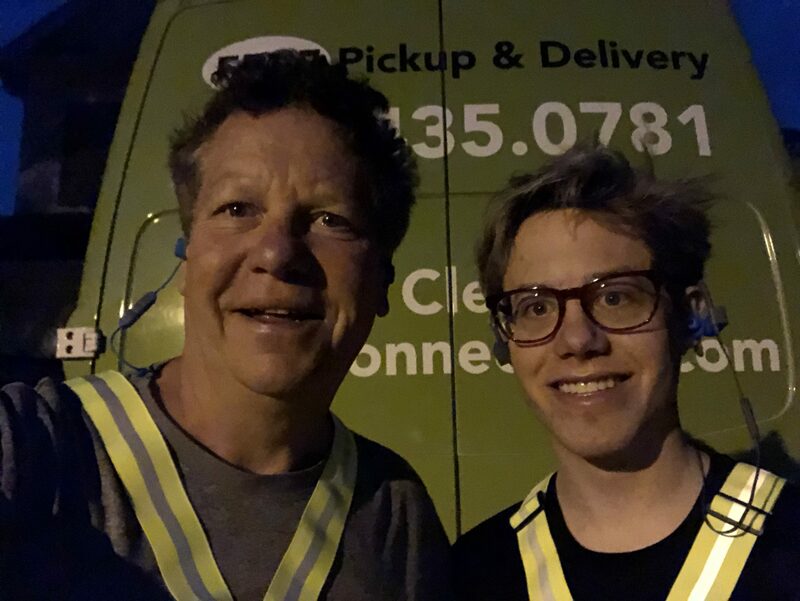 Five days a week, between 5 am and 6 am, we get up and run (hence the goofy reflective vests). And, since we’re runners, we know about Global Running Day (the first Wednesday in June each year). And since we know, if you know us, you know too. How does this apply to your business? When something is familiar to us, something as familiar as our business, we begin to think everyone knows about it and likes it as much as we do. After all, how could they not know about the wonderful products and services we supply that change peoples lives for the better? Then, the inevitable happens. We talk to a friend (or worse yet, a relative) who purchased a product or service that we provide from one of our competitors. How could this happen? And it happens all the time. I had a full-time consulting job in a different industry during the beginning of our dry cleaning pick up and delivery service. My boss did dry cleaning virtually every week. But she never used our service. She knew me, knew my family, cared about us, and even knew about our service but she never used us. Why? I can only guess but it is an educated one. I think perhaps she unconsciously didn’t want the business to do too well because she knew I’d leave and go to the dry cleaning service full time (and I did). So yes, today is Global Running Day and now you know, for better or worse. But you also know how something that may or may not matter to you can become something very important to your circle. It only needs to be important to someone like you and soon it will be known by you too.